An osteotomy is a procedure that involves the cutting of a bone and may include removing or adding a section of bone near a damaged joint. A tibial osteotomy may be performed on patients who experience chronic pain as a result of severe arthritis in the knee, that has not responded to prior treatment. This procedure helps to shift the weight away from the damaged cartilage to an area with healthier cartilage, relieving pain. A tibial osteotomy is often performed on younger and more active patients, as an alternative to total knee replacement surgery. 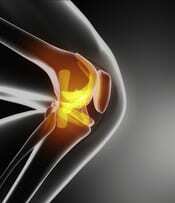 However, in many cases, a total knee replacement may eventually be necessary. During a tibial osteotomy, a wedge of bone is either added or removed to the tibia to realign the knee joint, relieving pain and restoring the balance of the knee. This procedure is performed while the patient is sedated under general anesthesia. An opening wedge osteotomy involves an incision in the medial side of the knee to place a bone graft, usually taken from the pelvic bone, into the tibia. The graft is held in place with a metal plate or pins. A closing wedge osteotomy involves an incision on the lateral side of the knee and removes a small wedge of the tibia bone before reattaching the two remaining ends with a metal plate or pins. In some cases, after this procedure the bones may not heal properly, causing a condition called a nonunion. In rare cases, individuals may still experience pain and stiffness in the knee. Initially following the procedure, individuals may use a continuous passive motion (CPM) machine to help the knee begin moving and to alleviate joint stiffness. After the patient leaves the hospital, crutches are necessary for about six weeks. A physical therapy program will help the individual to regain strength and range of motion to the knee. Full recovery after a tibial osteotomy may take several months. The results of a successful tibial osteotomy may last from 7 to 10 years.